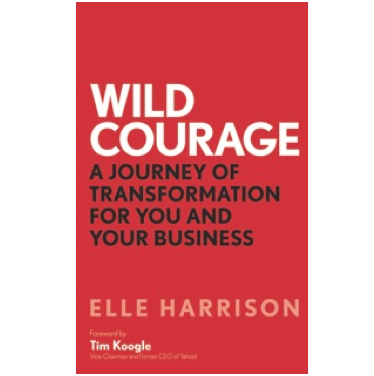 Elle Harrison is founder of Wild Courage, where she consults internationally as a leadership coach and strategic consultant. Elle believes in the importance of individual spiritual growth as a path to wider social, economic and environmental change. She is a champion for balancing traditionally masculine business structures with more traditionally feminine qualities – intuition, sensitivity, connection and collaboration. 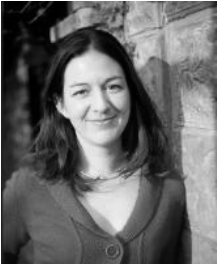 Elle is bold, insightful, articulate and down to earth – known for digging beneath surface challenges to explore deeper questions of purpose and meaning. Elle works primarily with entrepreneurs and senior leaders - CEOs, board members and partners - in business, professional services and the public sector. Elle began her career with Unilever PLC, working in global innovation and marketing in UK, Thailand and Argentina. In 2005 she set up Wild Courage, and has worked independently as a leadership coach and consultant since then. Elle is a professional certified coach with the International Coach Federation, and has trained as a wilderness rites of passage guide with the School of Lost Borders. In 2011 she was chosen for the Marketing Society's ‘Club 30’ – thirty leaders in their 30s who were ‘up to things’. She is the author of WILD COURAGE (Watkins, 2011), a book that offers a spiritual perspective on facing business challenges. Elle has featured in Vogue, The Sun, Chief Executive Officer, Beyond Green, Sustain, Professional Manager, Business Executive, Third Sector and other national and international publications.